Full tuition required two weeks prior to first day of camp season. $25 fee will be added after this date. FULL PAYMENT: Must be received no later than 2 weeks prior to camp season, required in full for any posted discounts and for your camper's participation in any camp session. REMAINING BALANCE DUE: 100% of the remaining balance due is automatically charged to the credit card on file on the camp's due date. REGISTRATION AFTER DUE DATES & LATE FEE: Any registrations received after camp balance due date must be paid in full at the time of registration and must pay an ADDITIONAL $25 LATE FEE for each camper registered. No discounts apply to late registrations or registrations following the full payment deadline. Camper families have the option of registering their child for full day camps should they fall within the Broadway Bound ages and are registered with a sibling or friend. We are intentional regarding developmentally appropriate camp age groupings. Broadway Bound Campers are combined with full day campers for their showcases which take place the last day of camp. HIGHLAND PARK SHOWSTOPPERS REGISTER NOW! is all about Acting, Dance & Pop-Rock Vocal Technique. 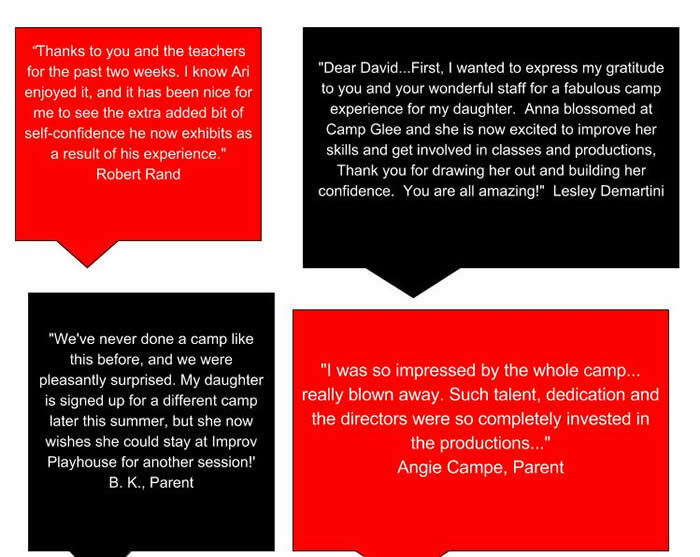 This one week camp is the first Ensemble Showcase Option of your triple threat summer at Improv Playhouse. Receive a T-shirt and perform in a showcase with pro-orchestrated trax, our unique customized script, incredible staff, and you're ready to go to that next audition...or just have fun!! 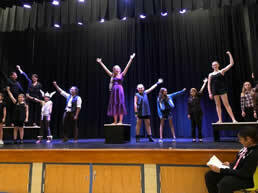 The rest of your IP-Summer includes a diverse selection of 2-Week Musical Theater Camps. All will showcase Broadway style with concentrations in acting, voice, choreography and dance, sparking a young person's imagination, building their communication skills and instilling a sense of discipline, responsibility and dedication. Final performances are generally on the final Thursday and Fridays! Performances will be held on our local stages at the camp facilities. Unless otherwise noted: Our FULL DAY Music Theatre Camps serve campers grades entering 4th - 8th, with HALF-DAY options for campers entering 1st - 3rd. Accommodations are made to segregate younger campers from older campers giving focused attention to age groups though they might be combined in some rehearsals, field trips and final showcases. Some exceptions to your camper's schedule may be approved. Improv and comedy summer fun! Explore the fundamentals of improv and/or stand-up comedy as taught and performed at Improv Playhouse. Many of our staff members have not ony worked with IP, but are presently performing at the renowned improv and comedy clubs throughout the Chicago regions. You'll develop comedy chops like you've never imagined as well as skills like creative thinking, self-confidence, listening, brainstorming, team building, and communicating to your audience, while having loads of fun and laughs. The final showcase will have you roaring! Our Pro-Improv staff of counselors are great with kids and are all veterans of camping environments. 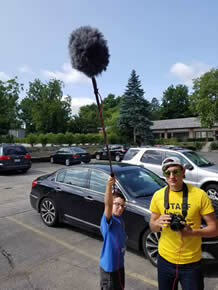 Filmmaking campers will gain knowledge in every aspect of filmmaking. Our Filmmaking Camp Directors are chosen from professional ranks and some of the top film making schools in the country. They instruct our campers in important elements of pre-production, production and post-production, where our campers learn hands on filmmaking technique through digital technology and professional software. Campers will be immersed in story boarding, shot list creation, casting, shooting and digital film editing. Do you dream of becoming a model? This exciting and glam “boot camp” will leave you with a ton of knowledge on how to take the next big step or just have fun. Young ladies and men will be taught everything they need to know about the competitive fashion, print modeling and pageant industry in a week filled with runway technique, role playing, a healthy self concept, visits from pros and a final fashion showcase. We'll collaborate with Amazing Cosmetics and other great retail places around Libertyville. What fun! Each day will focus on new activities that build upon each other! Our camp staff team consists of dedicated theater and entertainment business practitioners who have worked as nurturing leaders in education, camping and their respective fields. Staff members include interns and counselors age 18+, and Camp Directors who oversee each camp location. Our counselors have trained experience in dance/choreo, voice, drama, film, modeling and performance instruction. They enjoy working with children to help them gain confidence, grow as performers, build their interdependent communities and most importantly have FUN! 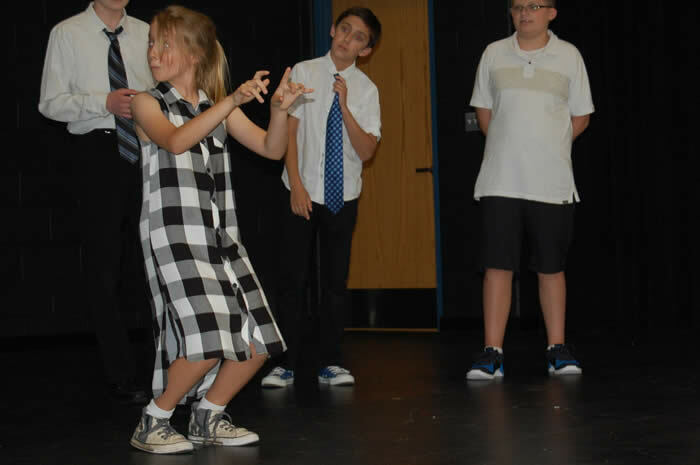 Improv Playhouse Performing Arts Camps involve your child in fun filled, local summer programming with stellar professional staff at prices for families looking for flexible choices and discriminating budgets. 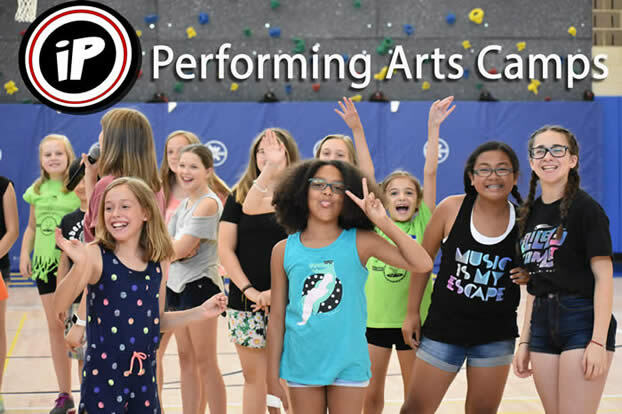 Each camp session will offer unique training and each camper will have the opportunity to explore and focus upon new paths of creativity in the Performing Arts. Improv Playhouse emphasizes an environment that nurtures every child as an individual artist, challenges aspiring actors and inspires theater beginners. All levels are encouraged to enroll. Programming will not be duplicated from mornings to afternoons where applicable. - We work to provide a non-competitive, nurturing and fun environment for our campers. - All roles in the workshops are assigned to the children by our staff. Campers are not required to do cold readings or prepare memorized audition pieces. - We reserve the right to determine casting at our discretion. - Any special clothing, costumes or dress is provided by the parents. -Full and half camp hours include breaks for snacks and lunch time. Fun Times! Great Friends! And More! Improv Playhouse has developed a program rubric based on the ACA standards. The American Camp Association is a community of camp professionals who, for over 100 years, have joined together to share its knowledge and experience and to ensure the quality of camp programs. 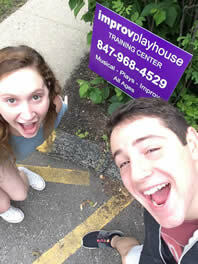 Just as its membership is diverse and programs distinct, so are the children who come to Improv Playhouse camps to participate in the camp experience. Through what Improv Playhouse teaches, the opportunities it offers, and the example its staff sets, children become part of a sharing community.